Does Our President Possess Too Much Power? – Royal Times of Nigeria. 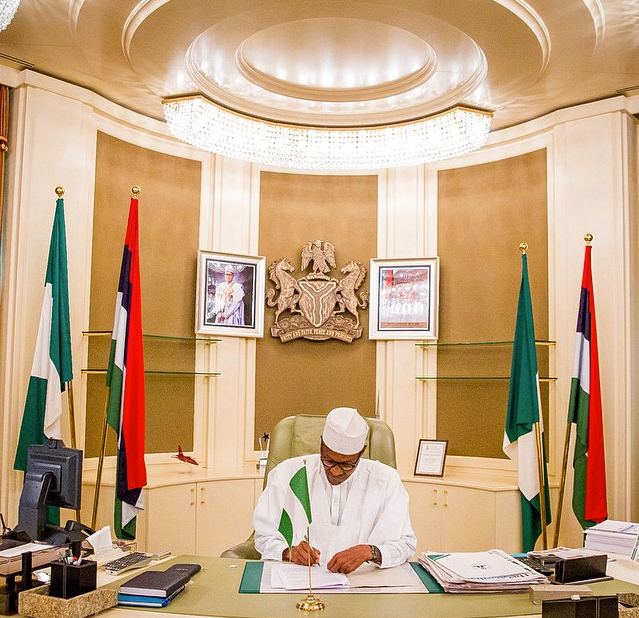 The Nigerian president is burdened with a gaping range of responsibilities. In addition to being both head of state and head of government, the president must appoint the ministers of all sectors and serve as the commander-in-chief of the army. This highly centralised system of government is likely a legacy of Nigeria’s years of authoritarian military rule, during which a single leader would essentially commandeer the whole country. Years later, however, this system of government is largely ineffective. Placing too much power in the hands of the president is problematic regardless of the leader’s abilities. If we are dealing with a “good” president, so to speak, too much responsibility means a large number of opportunities to misstep and disappoint the public. On the other hand, if we have a less competent president, too many responsibilities mean that a large proportion of the Nigerian government will be hampered by such president’s incompetence. Furthermore, the excessive concentration of power within the hands of the national leader may be an undemocratic style of government, as the people have fewer avenues to influence policymaking. We are yet to establish whether or not democracy is truly the best system of government for us, but if we are pursuing the rule of many, we must do so to the fullest extent. Therefore, this is another change we must add to our political reform to-do list for next year’s elections: redistributing the power within the chief executive. Perhaps there is a need for a return to the use of a prime minister as the head of government serving alongside the president as head of state. The issue is, Nigeria, never having been afforded the chance for true self-determination free from foreign interference, we are yet to ascertain which system of government works best for us. However, progress begins with change. The Nigerian president must be held more accountable to the Nigerian people. There is a need in the very least to critically appraise the role of centralised power in cementing political inequalities in Nigeria. The excessive amount of power held by the president contributes in no small part to low voter turnout, political disaffection, and enables corruption. May God bless our country, Nigeria.